The Azur Air company has announced that one of its planes landed in Atlantic City, New Jersey, because the crew noticed it was consuming fuel at an unusual rate as they traveled over the Atlantic Ocean. 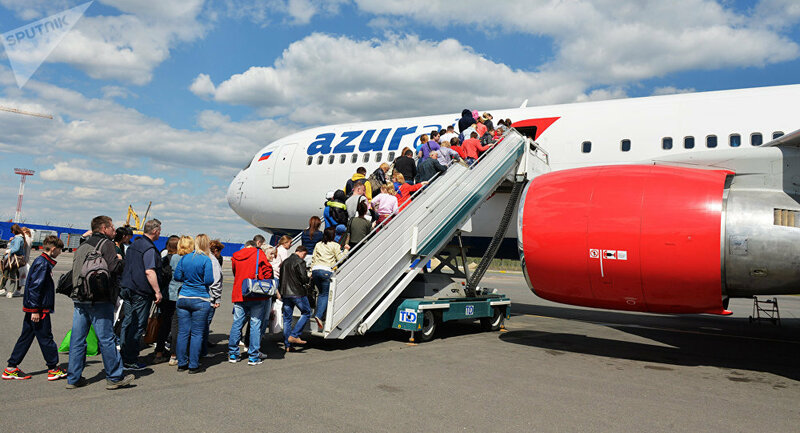 The crew of the Azur Air flight that was heading from Moscow to Cuba's Varadero noticed the increased fuel consumption and the commander decided to land at an alternate airport, company representative Lyudmila Matyushina told RIA Novosti. Landing was conducted in a normal mode, she added. Initially it was reported that the crew made the decision to land the plane because of an engine malfunction, according to the diplomats from the Russian consulate in New York City. All the 294 passengers and 14 crewmembers on the plane are now in a transit zone of the airport in Atlantic City. Russian diplomats from the Consulate General were reported to be heading to the airport to lend needed assistance. — Russian Consulate (@rcgnewyork) 31 января 2018 г.